She's called "mother goose" for a reason. A goose who burned her feathers off trying protect her six eggs from a fire has adopted an orphaned group of goslings. 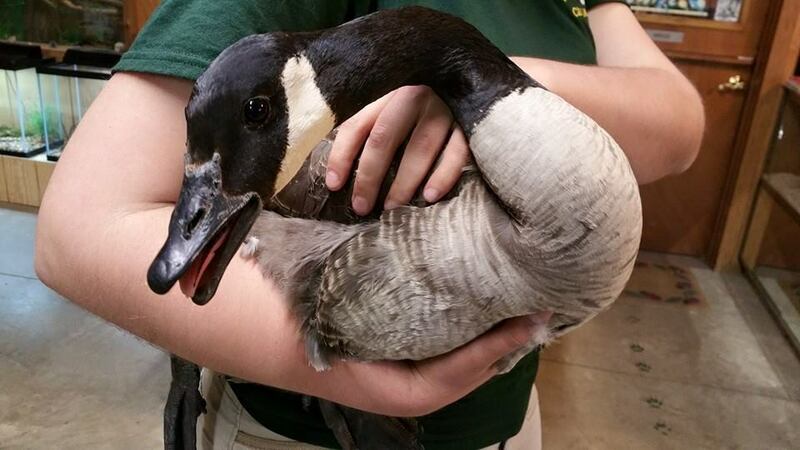 Back to the Wild, a nonprofit wildlife rehabilitation center in Castalia, Ohio, got a call around three weeks ago from someone who spotted a mother goose sitting atop her burning nest, apparently trying to shield her eggs from the flames. Because the fire is the subject of a police investigation, Villa was unable to provide more detail about what started the blaze. The caller put the fire out with a bucket of water, but it was too late for the eggs to survive, Villa said. The mother managed to escape without any internal injuries, but nearly all of her feathers had burned off. Back to the Wild staff took in the bird to nurse her back to health. 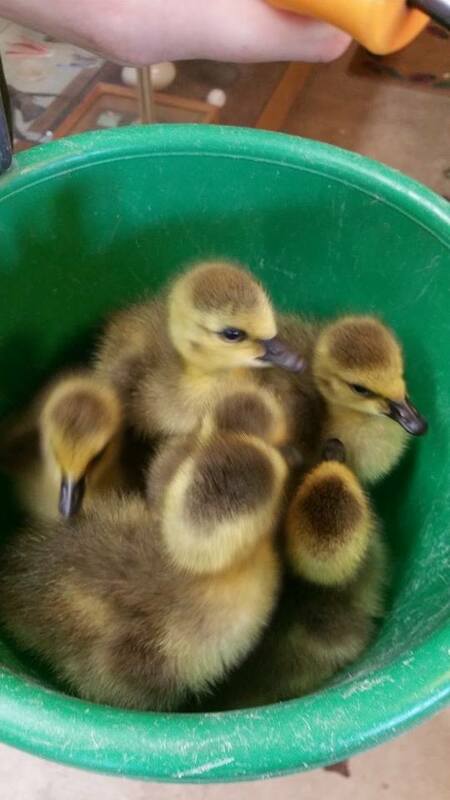 Later in May, the sanctuary got a call about more geese -- this time, a group of six goslings that someone had found in their pool. “We put them right with that goose,” Villa said, noting they weren’t entirely sure whether the mother would accept her new brood. Villa said that when the goslings are a little older -- and the mother’s feathers have fully grown back -- the animals will be released into the wild together. 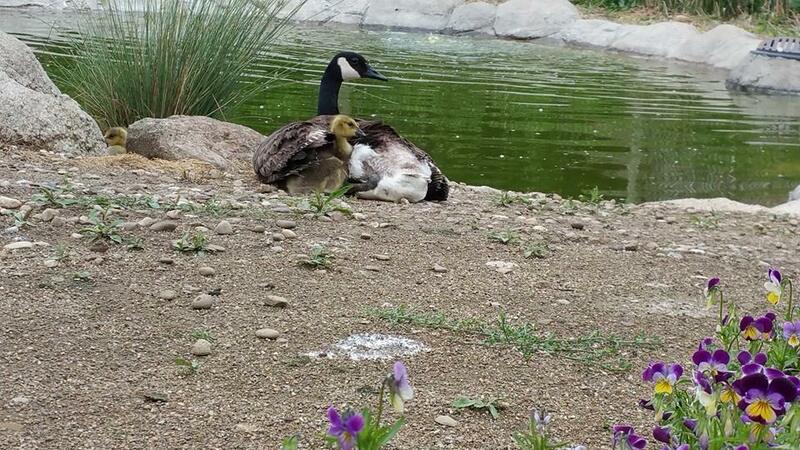 Follow the new goose family’s progress on Back to the Wild’s Facebook page. While nine months may seem like forever for some human mothers, pregnancy lasts much longer for many animals. So be glad that you're not a <a href="http://www.africaguide.com/wildlife/rhino.htm" target="_hplink">rhino</a>, who's pregnant for 16 months, <a href="http://www.marinemammalscience.org/index.php?option=com_content&view=article&id=496&Itemid=313" target="_hplink">a sperm whale</a> (16 to 18 months) or an elephant (22 months). Be even more glad that you're not an <a href="http://www.birds.cornell.edu/brp/elephant/sections/cyclotis/families/babies.html" target="_hplink">elephant</a> who's just a little bit overdue: Last year, an elephant gave birth at a British zoo after being pregnant for <a href="http://www.zooborns.com/zooborns/2011/11/longest-pregnancy-recorded-smallest-baby-elephant-too.html" target="_hplink">700 days</a>. Yes, that's almost two years.